With Winter coming up, there are dozens of preparations that need to be made. These include cleaning your gutters, making sure your home is properly sealed and even checking if your heater is working correctly. A heater that breaks down in the middle of Winter is not only an inconvenience, but it can also leave you and your family feeling cold and uncomfortable until a technician comes around. To avoid this problem, it is best to capture problems early on as you begin to run your heater in the fall. 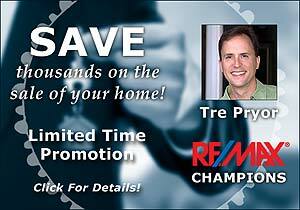 Below are 3 tips that you can use when preparing the HVAC in your Louisville home for Winter. Your heater’s thermostat is the tiny device on the wall that allows you to control the temperature of your home. 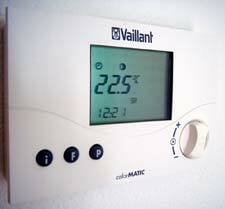 Thermostats are mainly provided with the heater and are programmed by the technician that installs your heater. You’ll know your thermostat is broken or has issues when the heat is not being evenly distributed throughout your home, if the temperature of your home is not at the temperature you set, or if the heater fails to operate. There are many causes for thermostat problems, those of which include faulty batteries, loose wires, dirty thermostat components, and a fuse or circuit breaker that has jumped. Not taking care of a broken thermostat can leave your home cold during the Winter and it can further cause your unit to malfunction. Another common problem that heaters encounter are filters that are dirty or clogged. Your heater’s filter is responsible for distributing clean heated air throughout your home. A dirty filter will circulate dusty and dirty air and it will also cause pressure to build up in your heater. In addition, a dirty filter can cause your unit to completely break down if not taken care of in a timely manner. You’ll know that your heater’s filters are clogged if the air becomes musty and congested when you turn the heater on or if your heater is not producing a strong flow of air throughout the home. 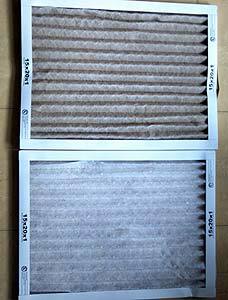 Dirty and clogged filters are used caused by a lack of maintenance. Therefore, having the filters changed as soon as possible and on a regular basis can remedy the issue. Over time, it isn’t uncommon for your vents to become clogged or obstructed. The obstruction typically results in reduced airflow that can leave your home chilly in the wintertime. Obstructed vents not only reduce air flow to your home, but they also can cause damage or even failure of your home’s heater. There are a number of ways to determine if the venting system is obstructed. Signs of obstruction include strange sounds, the smell of gas from your heater, a yellow flame in the burner, and a furnace that continually turns on and off. Each of these issues should be addressed immediately because they can lead to further damage to your home’s heater. In addition to the most common problems highlighted above, your home heating system can also suffer from other forms of wear and tear. It isn’t uncommon for your furnace to wear down over time. The failure of some of the furnace’s main components can be quickly fixed through replacement. Also, keep in mind that if your filter is older than 15 years, it may be time for a replacement. You’ll notice replacement is necessary when your furnace constantly breaks down and your heating bill is at an unreasonable level. When preparing HVAC for Winter, it’s smart to be proactive. While repairs are necessary, they can also be quite costly. Purchasing home warranty plans can reduce the cost of repairs and it can allow you to enjoy from a working heating system over the Winter. This type of plan protects the items in your home and ensures them from any damage or malfunctions that occur.